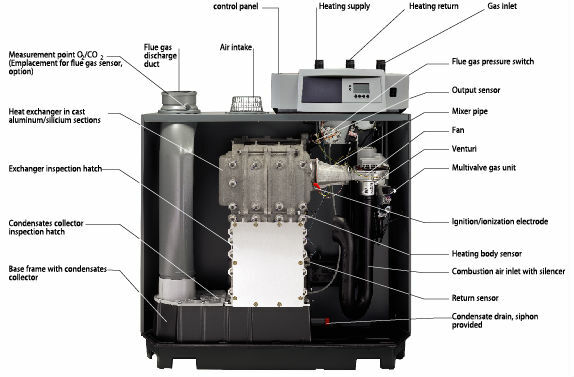 The De Dietrich C230 ECO-A Series of condensing boilers incorporates a cast aluminum/silicium sectional heat exchanger that achieves efficiencies of 99.9% and is able to operate at temperature differentials up to 81°F without thermal shock. Extremely resistant to any corrosion, with self-cleaning properties linked to the flow of condensates. The state of the art microprocessor based burner boiler control incorporates a P.I.D. control to manage and protect both the burner and the lightweight heat exchanger. 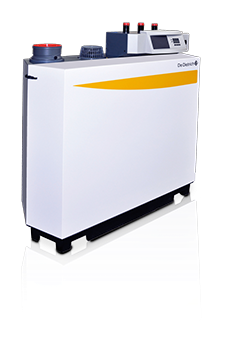 With this type of burner management control you will get the exact output the system needs. De Dietrich has always set the standard for high efficiency boilers with unsurpassed quality and service for over three centuries around the world. The De Dietrich obsession for perfection means that the C230 ECO-A Series of condensing boilers is “As the Boiler Should Be”!! !